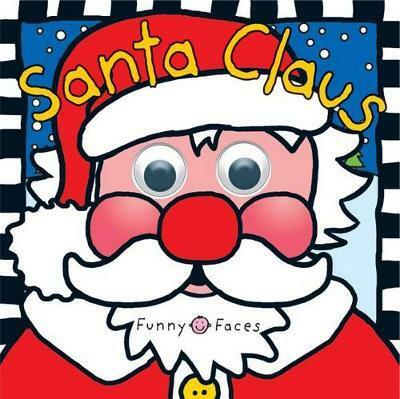 With Christmas characters and funny rhymes to read aloud, this book is a holiday delight! 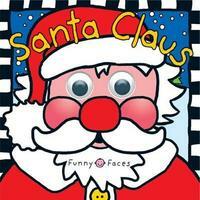 The youngest readers will love the fuzzy cover, googly eyes, and Santa's squishy red nose. A perfect read aloud book for the holiday season! Roger Priddy's love for children's early learning has led him to create some of publishing's most successful children's non-fiction books, including Priddy Books' million-copy bestsellers, My Big Animal Book and Happy Baby Words. Roger says: "It is always rewarding to see a child enjoying and learning something from one of our books, especially babies, when you think it could be the first book they have ever seen. "I am very lucky to have a career where you get to think up fun ways to teach a kid how to write their letters and learn their first words, whilst finding out about Dinosaurs at the same time!" Roger lives with his wife, Zena, in London and Cork, Ireland. They have four children, who have given him most of his best ideas for his books.